Eric Shorter's 92-yard touchdown reception midway through the fourth quarter proved the difference in no. 24 Delaware Valley's 28-21 Middle Atlantic Conference (MAC) victory over Lebanon Valley at Robert A. Lipinski Field on Saturday afternoon. Shorter's grab gave the Aggies (7-1, 6-1 MAC) the lead for good with 8:05 left to play. The Flying Dutchmen (4-4, 4-3 MAC) had tied the score at 21-21 on the previous possession, a 10-play, 42-yard scoring drive capped by Tim Pirrone's seven-yard touchdown pass to Travis Saylor at the 8:52 mark. Del Val scored the fourth quarter's first points, breaking a 14-14 tie when quarterback Dashawn Darden found Michael Jensen for an 11-yard touchdown pass on third-and-goal with 12:46 remaining. The score capped an impressive 17-play, 74 yard drive that chewed up over eight minutes of clock. Inside linebacker Tom Gallagher made the key play of a scoreless third quarter when he picked off a Darden pass deep in Dutchmen territory following a bad snap on an LVC punt attempt on the previous drive. It was the game's only turnover. Trailing 14-7 late in the second quarter, Lebanon Valley drew even with the home team when Ryan Finkpushed across the goal line from one-yard out to finish off a dominant 16-play, 70-yard scoring drive that saw the Dutchmen convert a crucial fourth-and-5 from the Aggies' 27-yard line with 2:49 left until halftime. Delaware Valley used some trickeration to grab its first lead of the day when Darden, James Norton, and Tyler Bing executed the hook-and-ladder to perfection, resulting in a 30-yard touchdown that made it 14-7 Aggies with nine minutes left in the second quarter. After falling behind 7-0 to open the game, DVU went 68 yards in 11 plays to get on the board on the team's second possession. A three-yard touchdown run by Armani Fuller-Williams capped the scoring drive that took up 4:51. LVC struck first, moving 63 yards to paydirt in 13 plays on the team's second possession. Fink's touchdown plunge from one yard out accounted for the game's first points and Marcus Brown's extra-point made it 7-0 Dutchmen at the 5:56 mark of the first quarter. Ryan Fink – The freshman running back turned in the second two-touchdown performance of his young career. In addition to his pair of one-yard TD rushes, he pulled in a clutch 20-yard reception to convert a fourth-and-5 on LVC's second quarter scoring-drive. He ran for 36 yards and two touchdowns on 10 carries. Tom Gallagher – The sophomore inside linebacker racked up a team-high nine tackles, including one sack that dropped Del Val quarterback Danny Farley nine yards behind the line of scrimmage in the third quarter. On the very next play, he recorded the game's only turnover, a key interception that halted the Aggies' drive deep in LVC territory. He also added one pass breakup. Michael Gaval – The sophomore wide receiver made the most of his first game as a return man, returning five kicks for a total of 106 yards, including one for 45 yards that set up Lebanon Valley's fourth quarter scoring-drive. - The loss ended Lebanon Valley's recent three-game win-streak. - The Aggies are the first ranked team LVC faced this season. DVU entered the weekend ranked 24th in the D3football.com top 25 poll. - Delaware Valley halted Brendon Irving's streak of 100-yard rushing games at 12. The MAC's leading-rusher finished with 49 yards on just 10 attempts. - Tailback Jon Jones averaged 5.1 yards on the ground per attempt. He rushed for 46 yards on nine carries. 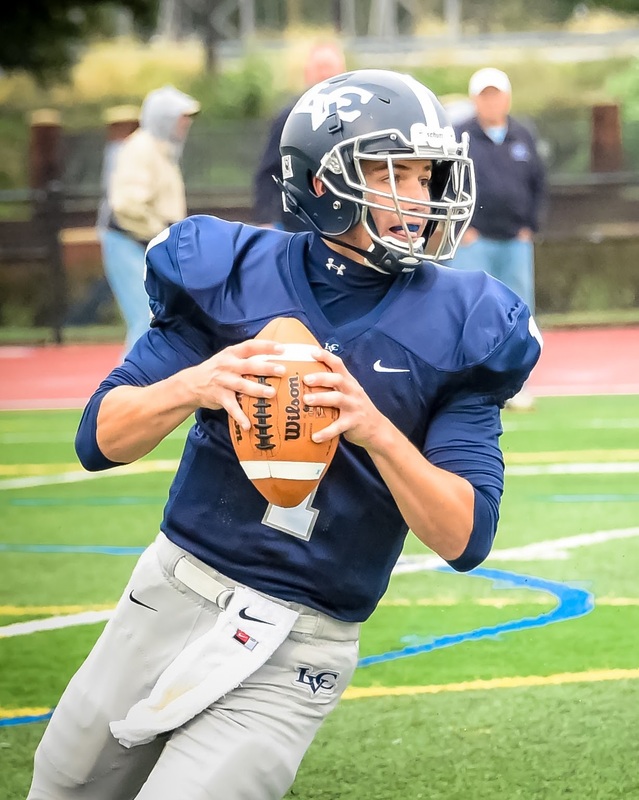 - Quarterback Tim Pirrone threw for 100-plus yards for the fifth time this fall. He finished 13-23 for 106 yards and one touchdown to go along with his 36 rushing yards. - Strong safety Kevin Antol and outside linebacker Reid Pavlik each made a team-high five solo stops. - Outside linebacker Steven McNeal recorded a team-best 1.5 sacks. Fellow linebacker Tommy Garner added one sack and strong safety Kyle Murray assisted on another. - Del Val outgained the Dutchmen 214-to-156 on the ground and 188-to-106 through the air. - LVC won the turnover and penalty battles. Delaware Valley committed five penalties for 49 yards while the Dutchmen were penalized just three times for 27 yards. - Lebanon Valley was 3-for-4 on fourth down, compared to Del Val's 0-for-2 output. - The Aggies have the inside track in the MAC. They've won six straight and hold the tiebreaker over Albright after besting the Lions last weekend. The Dutchmen return to Arnold Field for their 2015 home finale and Senior Day on Saturday afternoon, Nov. 7. Kickoff against King's is set for 1 p.m.